In the aftermath of hurricane Maria, the news from Puerto Rico was about support not reaching people. It is therefore so encouraging to read of the quiet work of the Episcopal Diocese of Puerto Rico reaching out to so many with health care and relief supplies at their time of need. 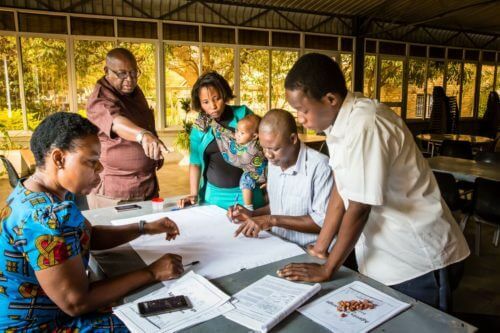 The Anglican Alliance has a key focus on humanitarian relief but disaster preparedness and resilience are crucial to mitigating the impact of disasters. The story below gives a powerful example of how the Church is so well placed to respond because it is part of the community, before, during and after an emergency. You can read more about this here. When Hurricane Maria devastated Puerto Rico last fall, the US government response seemed slow and inadequate. Floodwaters rose. Phones didn’t work. Power was out all over the island and people were overwhelmed. Those in remote areas didn’t have a way to say they were okay. The Rt. Rev. Rafael Morales and the staff of the Episcopal Diocese of Puerto Rico needed to make sure that their own priests and churches were safe so they decided to “go to the people,” in Bishop Morales’ words. They didn’t know it at the time, but the diocese would play an enormous role in the emergency response on the island, serving close to 100,000 families and 300,000 people with food packets, hygiene kits and medical care from teams of doctors reaching out from the diocesan-owned Hospital Episcopal San Lucas in Ponce, on the southern coast. The teams provided health care for more than 10,000 people by the end of 2017. Without that support, diocesan officials said over and over again, people might have died. Across the island, people said the diocese had given them hope. The bishop began calling his diocese,“The Diocese of Hope.” Bishop Morales was consecrated last July 22. Hurricane Maria hit on September 20. “Immediately after the storm, it was impossible to go anywhere,” he said. “I was home for two days.” On the third day, he made his way to the diocesan center. The diocesan staff immediately took on new duties. Seminarian Bryan Velez, 25, coordinated volunteers, representing the diocese in communication with the American Red Cross and other relief agencies. 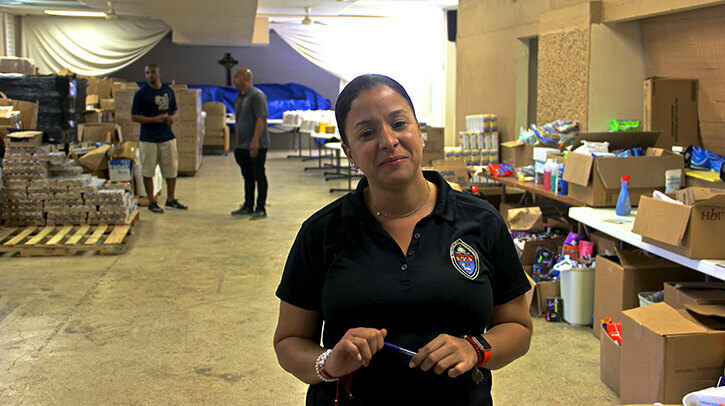 Yaitza Salinas, the diocesan administrator and chief operating officer, managed the diocesan center warehouse and kept records of what was coming in and going out. The diocese set up distribution hubs at the diocesan center just outside San Juan and in Ponce, at the hospital. The hospital provided trucks to transport goods shipped from numerous organizations on the mainland to the distribution hubs on the island. Once relief items came in, volunteers would unpack, sort and take inventory. Local priests and lay leaders came to the distribution hubs with lists of needs. Staff members matched the needs to goods on hand. Diocesan staffers, clergy and volunteers drove hospital trucks filled with water, food and supplies up winding and narrow mountain roads, weakened by torrential rains, to reach remote communities. When roads were impassable, they carried supplies on foot. There will be another storm—there always is. Puerto Rico’s “Diocese of Hope” has already begun preparing for it. Episcopal Relief & Development is underwriting three new staff positions in the diocese to handle disaster preparedness, relief and recovery, including a Long-Term Recovery Director. The diocese has already learned a lot—much of it the hard way. They are ready to take the next step. With the support from Episcopal Relief & Development, the diocese will establish central hubs for the churches in rural areas, places where coordination, communication and self-sufficient energy and water systems can be accessed and used to support all in the next storm. This work moves forward even as the program will also support people to rebuild houses and livelihoods impacted by Hurricane Maria. Puerto Rico is recovering, no question. But electrical lines are still being repaired. Vegetation lies in debris piles just off many roads. Building materials are in short supply, and they are expensive. When I visited in April, a single utility pole fell down and cut power for a huge portion of the island. Recovery is precarious. And hurricane season begins again on June 1.